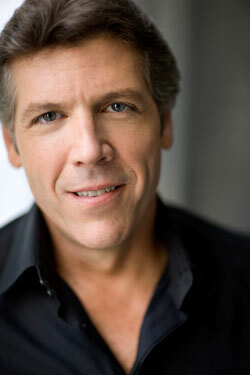 Renowned baritone Thomas Hampson will join attendees at the 53rd NATS National Conference in Boston July 5-9, 2014, as the featured performer, in addition to teaching a master class and speaking during the week. Hampson's concert is scheduled for July 7, 2014, during the NATS Conference, with his featured master class and special bonus session set for July 8. Boston2014 Conference LOGO 03Hampson’s recent international concert and recital engagements include performances in New York, Munich, London, Vienna and San Francisco. He made gala appearances at Baden-Baden’s Festspielhaus on New Year’s Eve and celebrated the Concertgebouw Orchestra’s 125th anniversary in Amsterdam. His collaborative projects also included a European tour with the Wiener Virtuosen, an appearance with the Borusan Istanbul Philharmonic Orchestra, and concerts with the Jupiter String Quartet – featuring a world premiere by Mark Adamo – in New York, Boston, and Davis, California. Other artistic partnerships included performances with the Los Angeles, London, Munich, and Israel Philharmonics, and the National Symphony. The biannual NATS National Conference attracts NATS members and others from around the world to share in programs, demonstrations, lectures, master classes and competitions that help celebrate the art of singing and increase knowledge of teachers to help them better assist their students. The 2014 conference will be held at the Boston Marriott Copley Place, a luxurious 70,000-square-foot full-service hotel that recently completed a five-year renovation, making it a destination of choice in one of America’s most historic cities.